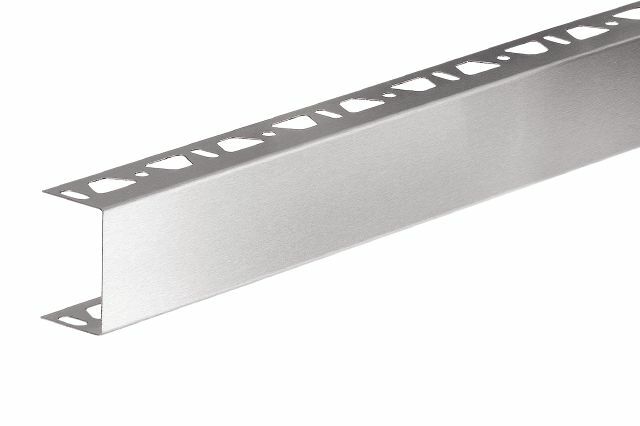 QUADEC features a squared edge and is used on the outer rim of the bench. 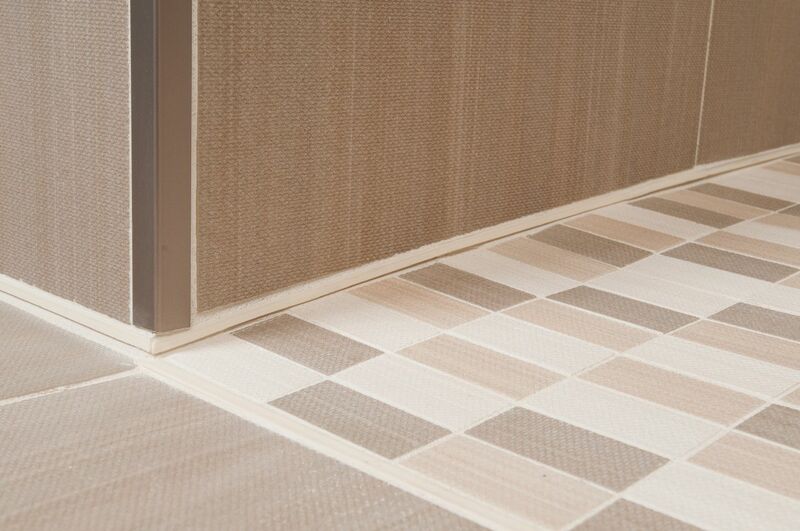 DILEX-EKE, in sand pebble, is used for the floor-to-wall transition. 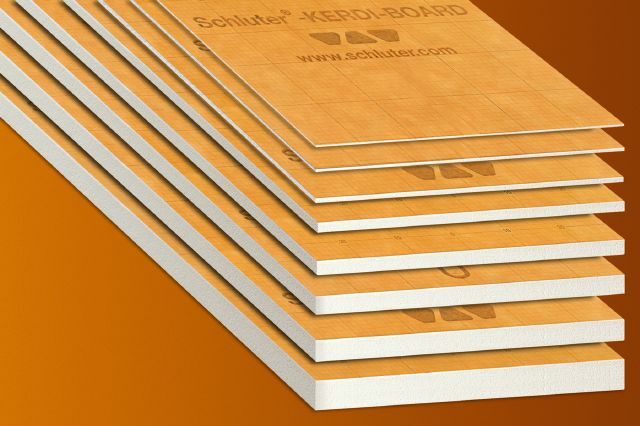 KERDI-BOARD building panels are used to create the two-tiered bench and partition wall. 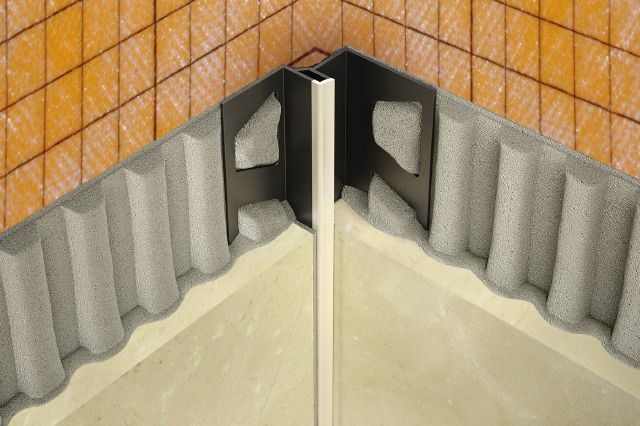 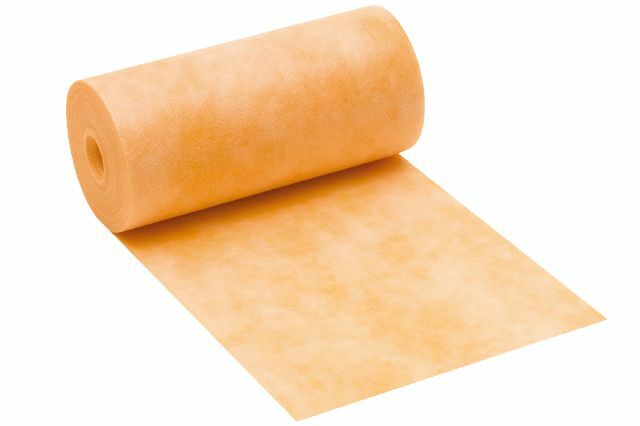 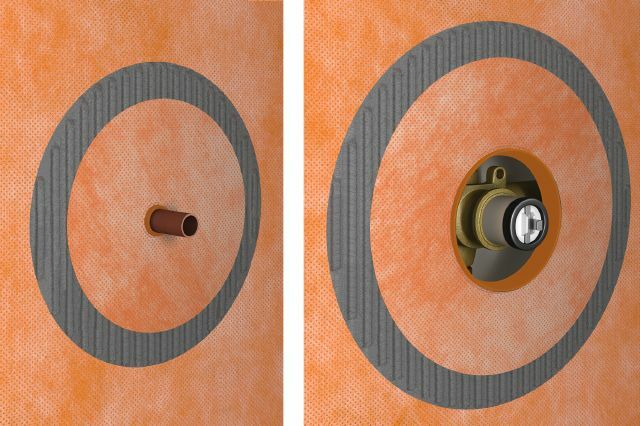 The KERDI-BOARD-ZA U-shaped profile is used to finish the edges of the partition wall. 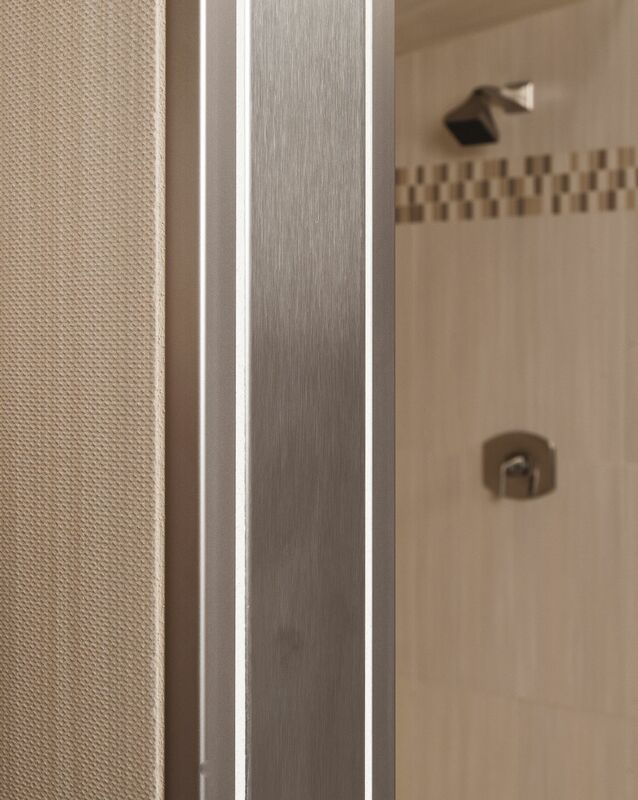 KERDI-DRAIN in anodized aluminum with a brushed nickel grate is featured in the center of the shower. 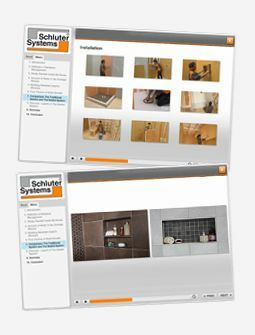 KERDI, KERDI-BAND, KERDI-KERECK, and KERDI-SEAL-PS/-MV provide waterproofing from the floor to the ceiling behind the tile. 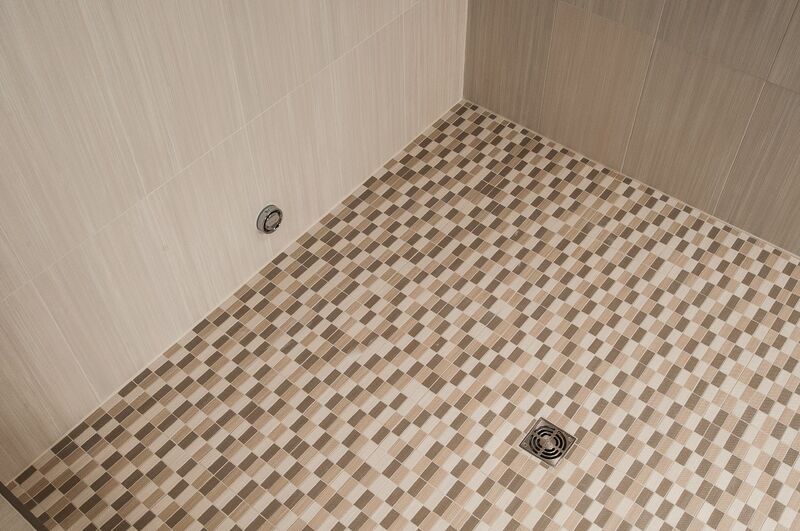 DILEX-EKE in sand pebble is featured in the inside corners of this beige shower, and KERDI-DRAIN is shown with a brushed nickel grate. 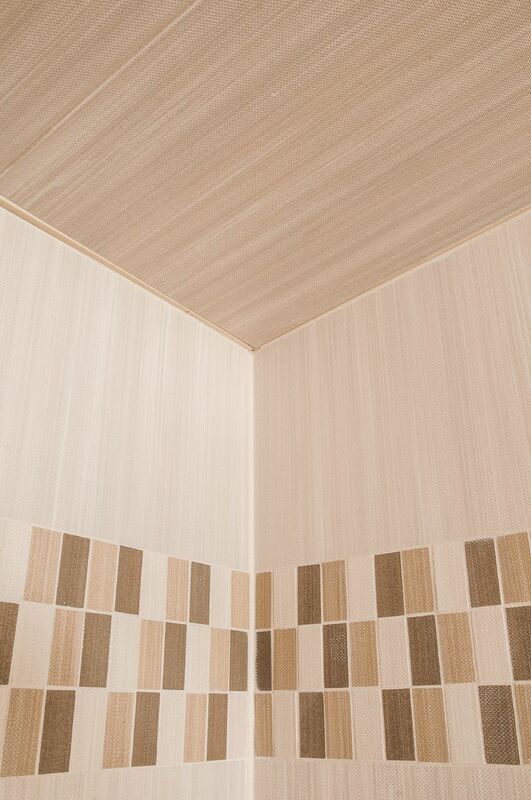 The DILEX-EKE in sand pebble blends in seamlessly to these inside wall corners. 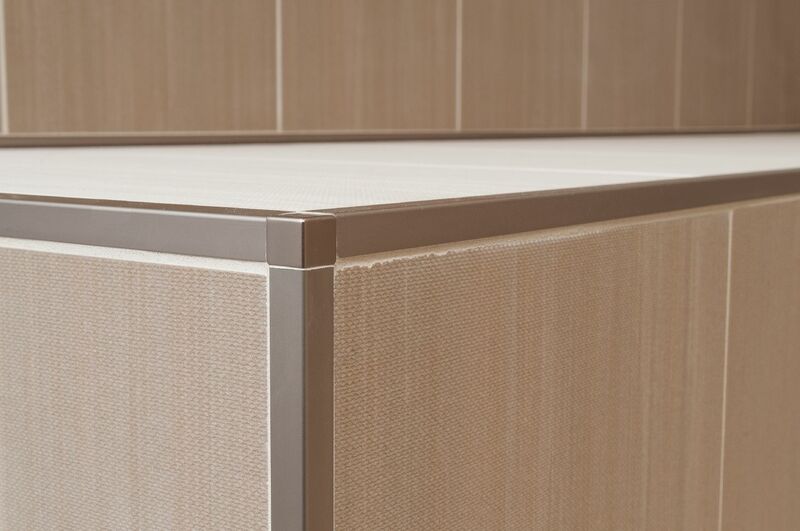 QUADEC is applied to the outside corner of the bench, while the DILEX-EKE in sand pebble eliminates the need for caulking, and creates a subtle floor/wall transition. 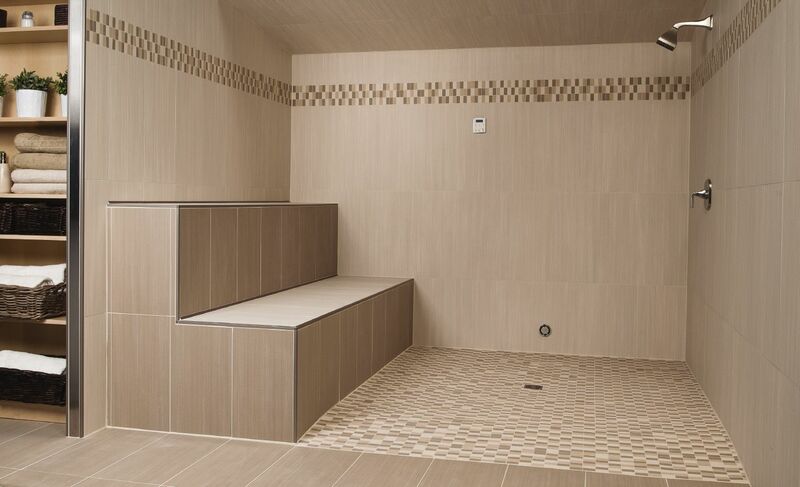 QUADEC profile used on this bench, with matching 90°corners. 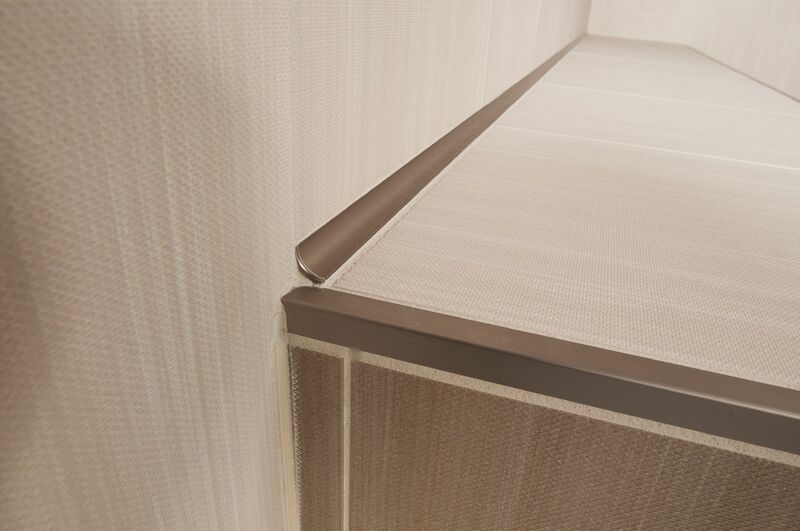 The QUADEC profile creates a square-edged trim to the front of the bench, while the DILEX-AHK creates a cove-shaped smooth transition to the wall. 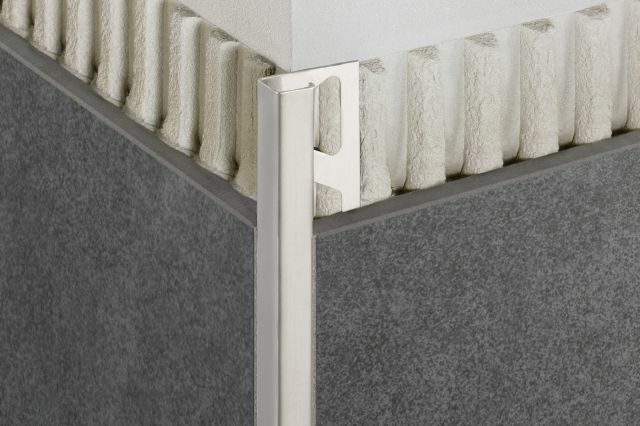 The KERDI-BOARD-ZA brushed stainless steel, U-shaped profile is used to finish the visible edges of the KERDI-BOARD panel used to create the partition wall. 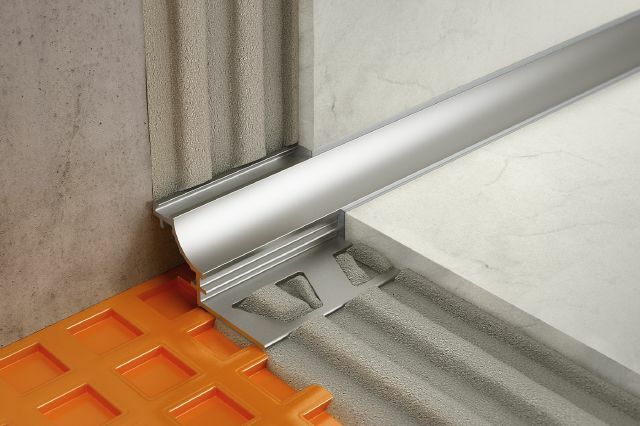 The QUADEC square-edge profile finishes and protects the edges of the tile.